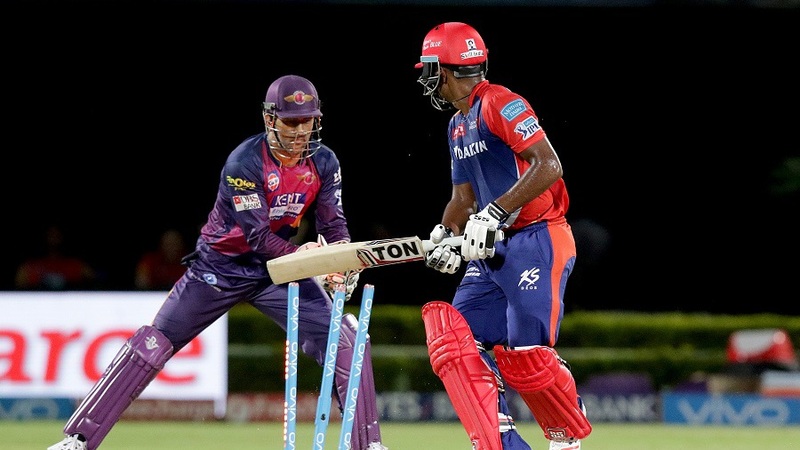 Rising Pune Supergiants completed the double over Delhi Daredevils whose chances of making the playoffs received a jolt with a 19-run loss via D/L method in Visakhapatnam. Daredevils can still qualify for the playoffs with 14 or 16 points, but their net rate of -0.125 means they may need to win by a substantial margin in their remaining two games. Fast bowler Ashok Dinda knocked over the Daredevils openers within five overs, before R Ashwin and Adam Zampa found sharp turn to smother Daredevils to 121 for 6.